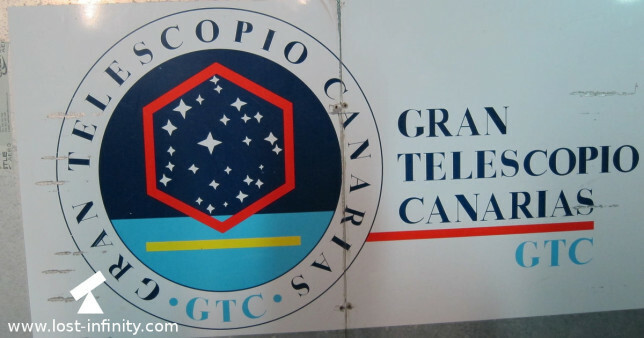 One thing you should not miss when you are on La Palma is a visit of the Gran Telescopio Canarias (GTC) on top of the island at about 2400m above the sea. It is completely free and the tour just takes about one hour of your time (+ driving up and down el Roque). Currently (03/2013) the GTC is the biggest reflecting telescope worldwide. This is certainly especially interesting for people who have an affinity to technology and/or astronomy but it may also be interesting for everyone else to see this giant instrument of modern science on La Palma. In order to visit the GTC telescope on La Palma, one has to register on the following website. According to the website there is only a limited number of places for each visit. So in case you are not flexible you should register early enough before you plan to visit the GTC. One thing should be said as a warning: Since most people probably use a motorized vehicle to get up to the top the big difference in height can be a problem. If you are not used to this altitude or you have a weak blood circulation you should pay attention. According to the telescope staff it is quite normal that 1-2 people per visit have some problems. I just parked the car beside the road close to a helicopter landing zone. There some other visiors were already waiting. While I was still wondering why the others didn't leave their cars I suddenly found the answer when I stepped out. It was dammed cold up there and an unpleasant wind blew from the west. After waiting some minutes one man and a woman came to the cars and introduced themselves to the visitors. Since it was cold we were directly heading into the telescope. The tour was planned for about 1 hour. The first part of the tour was just a presentation of a long list of facts about the telescope - but of couse almost no technical details were given to not bore the audience. Everything was presented in English and in Spanish vice versa. The explanations took place right behind the entrance while all visitors were standing in the corridor. For me this was ok but some people already felt the altitude. Then all visitors had to put on helmets. We all passed by at the control room up to some stairs. We were warned to go up slowly because of the altitude, again. Then we finally arrived at the huge dome. To me it was amzing to see this! 🙂 This telescope is just a giant & crazy machinery! The guide explained some impressive technical details of the telescope. It's diameter is 10.4m and the effective focal length is about 170m (!). It is an adaptive optics which consists of 36 mirror elements. All mirrors are attached to piezo elements. Based on the recorded images a computer calculates the position for each piezzo element to minimize the effect of atmosperic turbulences (seeing). As in most big telescopes the instruments can be switched depending on the observing goal. Finally the whole telescope is settled on rotating platform which is bedded into a kind of oil bath. More detailes can be found on the GTC website.